'Martha can tell things about a person just by touching their clothes, as if their emotions and memories have been absorbed into the material. It started the day she fell from the tree at her grandma's cabin and became blind in one eye. The Twisted Tree has so many elements in it that I love in a book, horror, Norse mythology, a creepy setting and ghosts so I had very high hopes for this book going in, and luckily it did not disappoint! I want to start with the setting. I've been to several Nordic countries during the summer and winter, and the difference between the two seasons is huge. In the summer night never comes but in the winter there is only a few hours of sunlight. 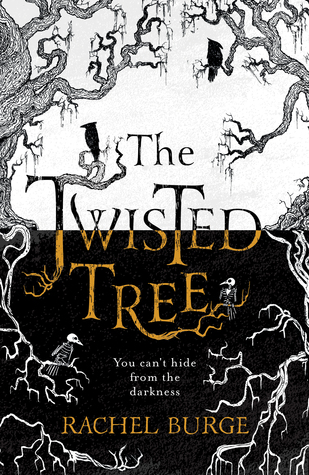 The Twisted Tree is set during the winter on a remote Norwegian island, it is the perfect setting for something eerie to happy. Before the events in the book happen Marta had only ever visited the island during the summer, so experiencing winter for the first time with her just added to the atmosphere. The plot was also great and there wasn't a dull moment in the book, I think this is due in part to the fact that the pacing is done so well. I have read many thrillers where there is a lot of build up but the ending is rushed which doesn't feel very satisfying but that is not the case here. There is one tiny part of the plot that when I was reading I wasn't sold on (I'm pretty sure lots of other YA readers will agree with me on it too), but as is typical of a thriller there are twists and turns and this particular gripe I had ended up being a great plot point for me. Overall I really enjoyed this book, it was a fun read that I got through very quickly. The Nordic setting is one that I loved and I haven't actually seen a lot of in other YA books which made it stand out for me. This would make a perfect read for next month if you want to get yourself in the Halloween mood! I have to admit this a book I've not heard of before but it sounds like something I would really enjoy reading. I'm going to have to check out if I can get it on audiable. This sounds like a very intriguing novel, and definitely a good read for this time of year! This sounds like a great book, one I'm going to have to pick up myself! This sounds like a gripping read - the kind of book you can’t put down! I can't wait to read this one, I have a copy on my kindle. I love your review! This sounds so good, I have it waiting to be read so I'm looking forward to it! Great post. Sounds like an exciting read for cosy winter evenings! Ooooh! I might grab this one for Halloween. First, I love the title of your blog. I really want to get back into reading, I just never seem to find the time. On that note, this book does sound like one I could ingulde in.